Our mission in the Church springs from one love and is directed toward one goal: love of Jesus, living in the Eucharist, in the Priesthood, and in the Liturgy. From the Eucharistic Mystery, the source of our mission, we receive the light, joy and example to become apostles of the Eucharist and living prayer as apostolic action. We assume the ministry of unceasing prayer: interceding for the Church, for all peoples, and for the Pauline Family, of which we are a part. We invoke grace for the world of communication that the good news, which is Jesus Christ, may reach all nations. In the face and the voice of the Crucified and Risen Lord we contemplate the Beauty that saves the world, and we cannot remain silent about what we have seen and heard. 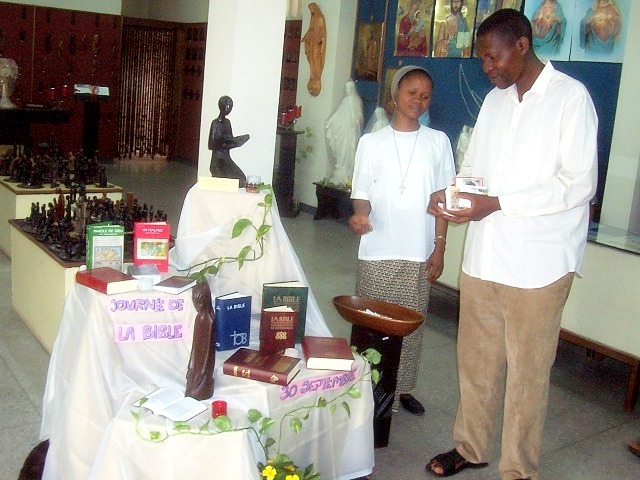 From this Mystery arises our commitment to the various ministries that the liturgical action of the people of God may be expressed through active, conscious and fruitful participation. 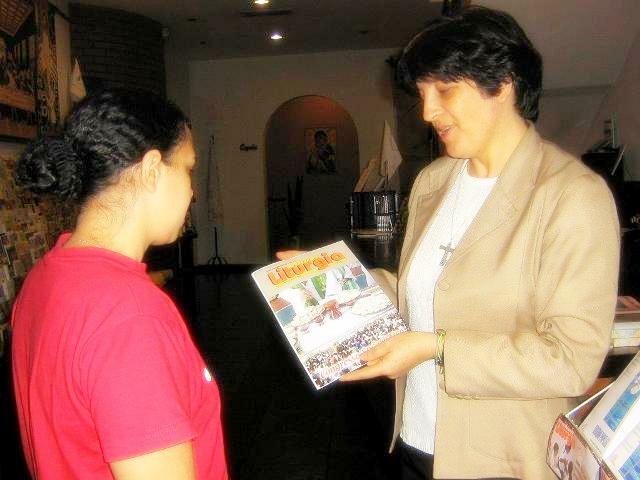 In this perspective, we dedicate ourselves to liturgical pastoral work and mystagogical catechesis, which assists in discovering and deepening the understanding of the gestures, symbols and words of the Liturgy, moving from the signs to the Mystery. 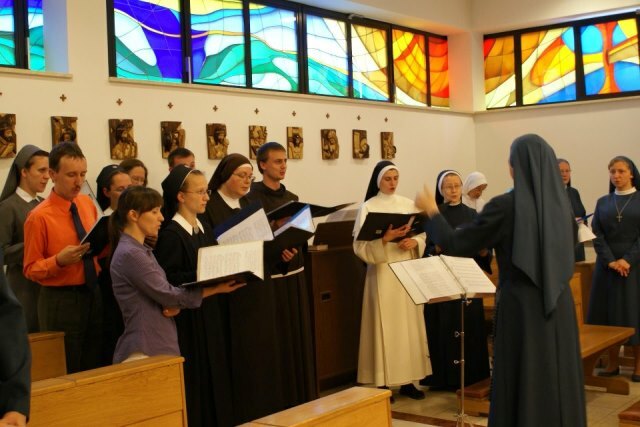 In the area of a culture of communication, we promote liturgical and artistic formation that the Christian community may live, pray, and celebrate in dignity and beauty, attaining full communion with God, with others and with creation. 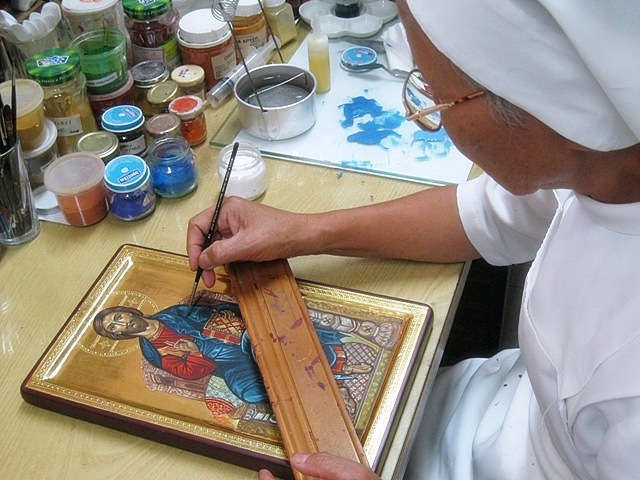 Our artistic activity is at the service of evangelization. We communicate the unconditional love of God for humanity through the way of beauty which fosters the encounter between Christian faith and the cultures of our time. The proclamation of Christ brings us far and wide to the various cultures and mentalities with the attitudes of availability and freedom in the Spirit as lived by the Apostle Paul. 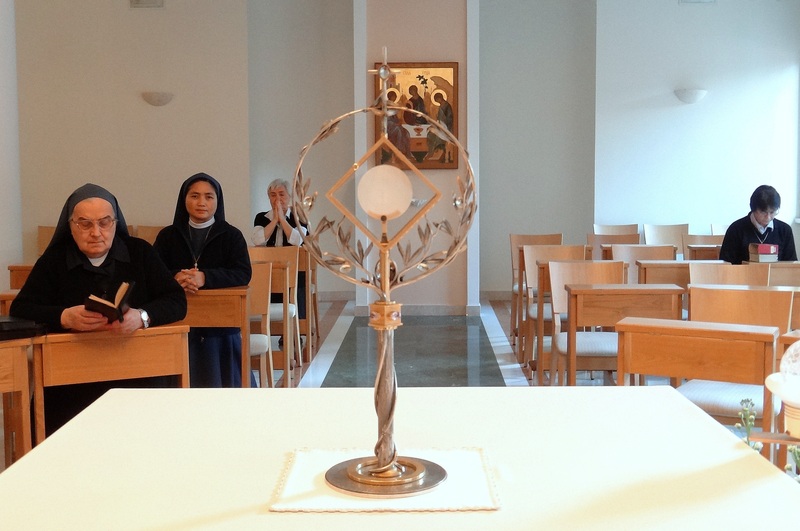 Our “Eucharistic, liturgical, priestly centers” are places of ecclesial service and proclamation of the Mystery of Christ; open to ecumenical and inter-religious dialogue. 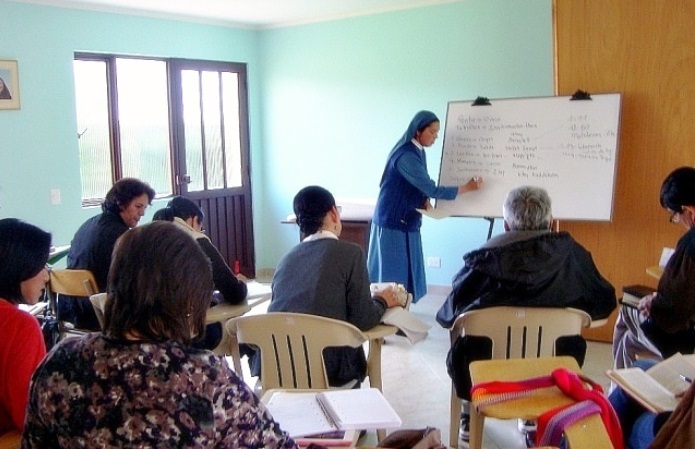 Through our lifestyle, we promote in these Centers an experience of prayer, hospitality, formation, and accompaniment. . 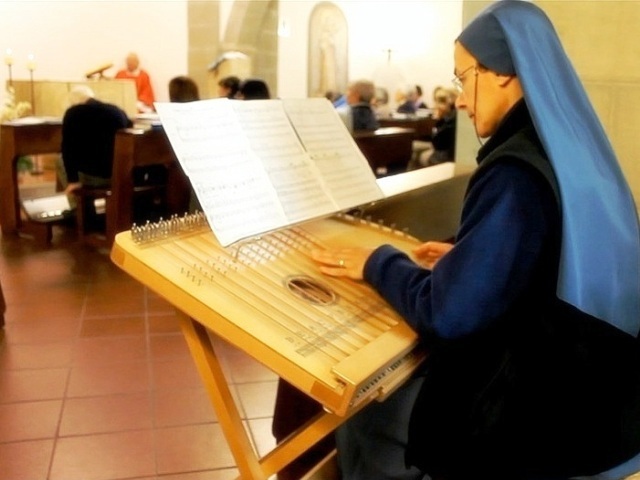 In a special way we participate in the mission of ordained ministers, in the spirit of Mary Most Holy. Through our prayer and service, we accompany the vocations to the priesthood and collaborate in their formation. 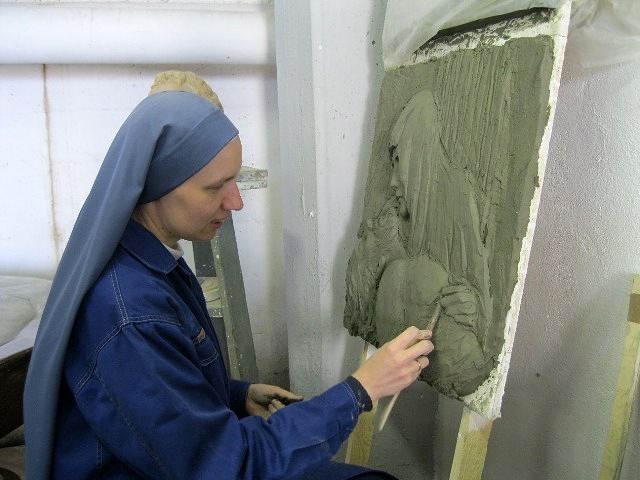 We care for priests and religious, especially those living in situations of poverty, illness, advanced age, and offer suffrages for them after death.